THE B-MOVIE NEWS VAULT: STOCK YOUR VAULT: New DVDs & Blu-rays for 07/31/2018! STOCK YOUR VAULT: New DVDs & Blu-rays for 07/31/2018! July 2018 has come to an end Vault Dwellers, and it is leaving with a whimper instead of a bang. Seriously, this week's release slate is absolutely dismal, though there are a few choice titles you may want to pick up. Warner Archive Collection debuts 1960's VILLAGE OF THE DAMNED to Blu-ray disc, Sony Pictures brings PENDULUM to the HD format, and those wonderful folks from Vinegar Syndrome released a double-dose of titillation with LIQUID ASSETS and SHOWDOWN. But the biggest treat this weak offers up has to be Scream Factory's long-awaited Blu-ray release of PIRANHA II: THE SPAWNING. Boasting a 2K transfer and new extras, this crazy sequel (that was briefly helmed by James Cameron) finally gets the love it so richly deserves. 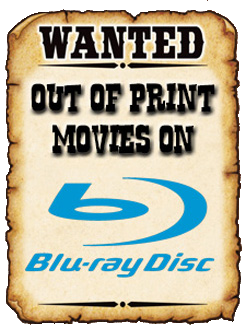 There's not much else to highlight this week Vault Dwellers (aside from some more of those Frolic Pictures Double Features) but be sure to scroll down a few inches to see this week's list of new DVDs & Blu-ray discs!